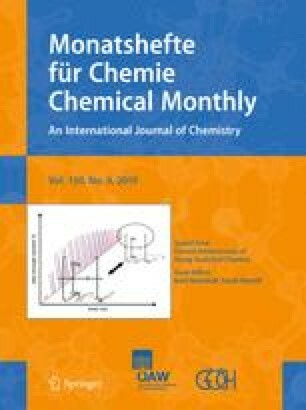 Complexes of lanthanide nitrates with 2-methylpyridine-1-oxide of the formuleLn(2-MePyO)3(NO3)3 whereLn=Nd, Sm, Tb, Dy and Yb and La(2-MePyO)3(NO3)3·2H2O have been prepared and characterized by chemical analyses, IR spectral, conductance andDTA data. IR spectral data have been interpreted in terms of the coordination of the ligand to the metal through the oxygen of the N−O group. Conductance and IR spectral data show that all the nitrate groups are bidentate and that two of the nitrate groups are bound to the metal in a different manner than the other.